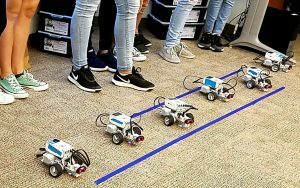 Tech Trek is an exciting week-long, residential, hands-on STEM camp for girls currently in 7th grade who show promise in math science and/or technology. 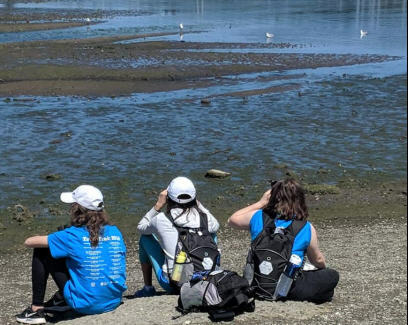 It’s held at Pacific Lutheran University in Tacoma where girls live in college dorms for a week during the summer and take classes from an excellent group of female scientists. The camp is designed to create interest, excitement, and confidence in young women at an age where they are sometime likely to drop out of math and science studies. All girls are sponsored so there are no financial barriers to attending camp. We are particularly focused on getting girls to camp who might not otherwise be able to attend this type of enrichment. We look for the girls who would benefit most from this great experience and might not have other opportunities. 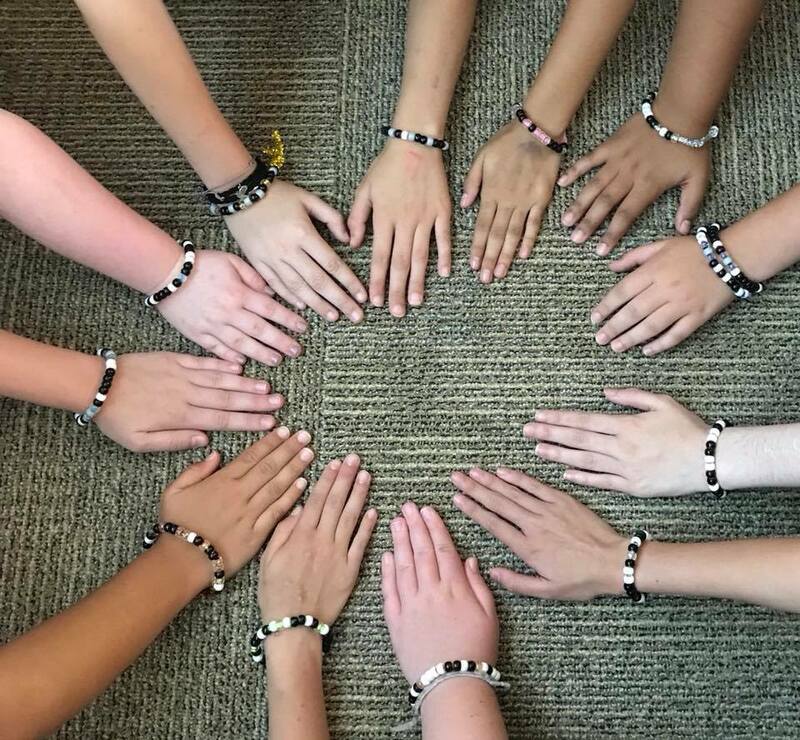 Seattle Branch sponsors around 10 girls each year from schools in the greater Seattle area. The process starts in January. Our first step is to contact teachers at schools to recommend 7th grade girls who they feel would qualify and benefit from this camp. Once the girls are nominated by their teachers, they each fill out an application. We send a team of AAUW members to interview each girl at their school. We also interview their parents to make sure they are totally on-board with the program and can provide transportation for their daughter to and from camp. It costs $1000 for each girl to attend camp. We ask that the families pay $50 of that fee and the remaining $950 is provided through donations. If you would like to donate to Tech Trek here’s how. All amounts are appreciated. 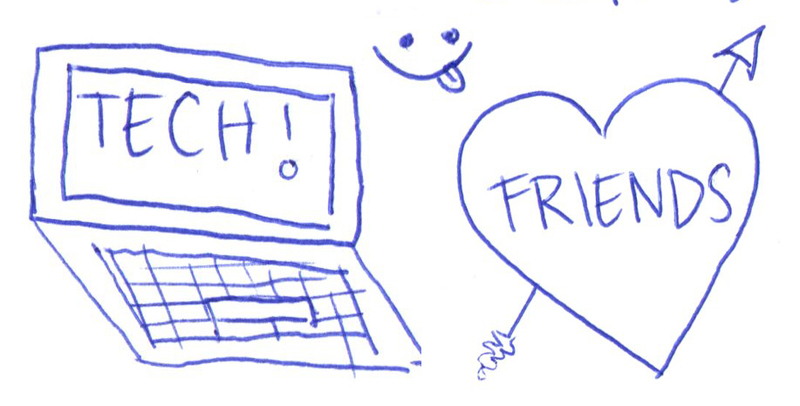 Online, via credit or debit card, https://techtrek-wa.aauw.net/ – Select the Donate button below AAUW-WA Tech Trek Special Projects Fund and make your donation. Be sure to include your member number or “Seattle Branch”. 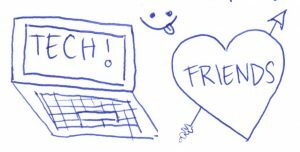 Here’s a description of daily life at Tech Trek and some pictures from one of our Dorm Monitors to give you a better idea or what goes on at this wonderful experience. 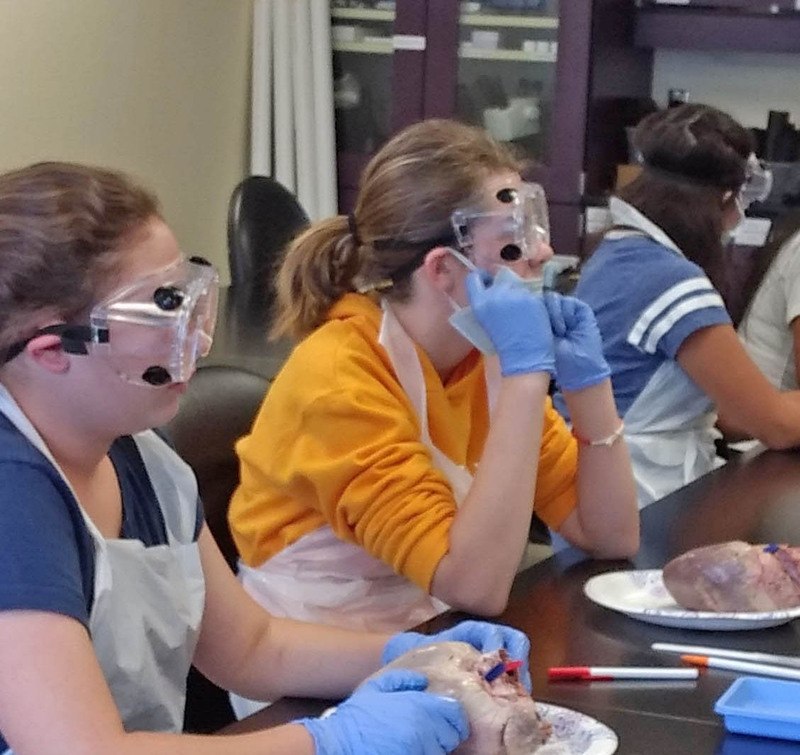 Tech Trek is a week long summer science camp for girls between 7th and 8th grade. The teachers are all women scientists and the camp is designed to keep girls enthusiastic and engaged in science and math. AAUW Washington manages the camp and AAUW branches throughout the state sponsor girls so they can attend regardless of their financial status. I had the “opportunity” to go to our week-long Tech Trek camp this summer as a “Dorm Monitor.” I must say, having no children of my own, this was out of my comfort zone and I was a little worried. But looking back now, there were some highs and lows, but all-in-all it was a wonderful experience and I’m glad I volunteered. 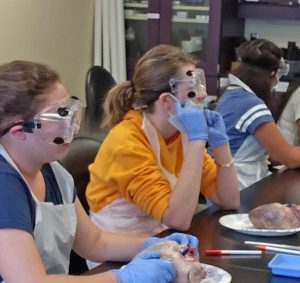 It was at Pacific Lutheran University in Tacoma with 64 girls between 7th and 8th grade. There were ten girls in my wing of the dorm along with a student counselor who was a wonderful asset. She had just graduated from high school and was very interested and well informed on astronomy. She was also really good with the girls. We called our group “Apollo 4.” I thought I had the best group. Very interesting and pretty well behaved all around. There was one scary night where two girls woke up and knocked on my door. Someone had yelled and screamed outside the dorms for a few seconds and it reminded the girls of a bad experience. After a while they calmed down and got back to sleep. Mostly it was pretty quiet at night. There were five other wings with Dorm Monitors and Student Counselors so you can imagine it was a very busy place. 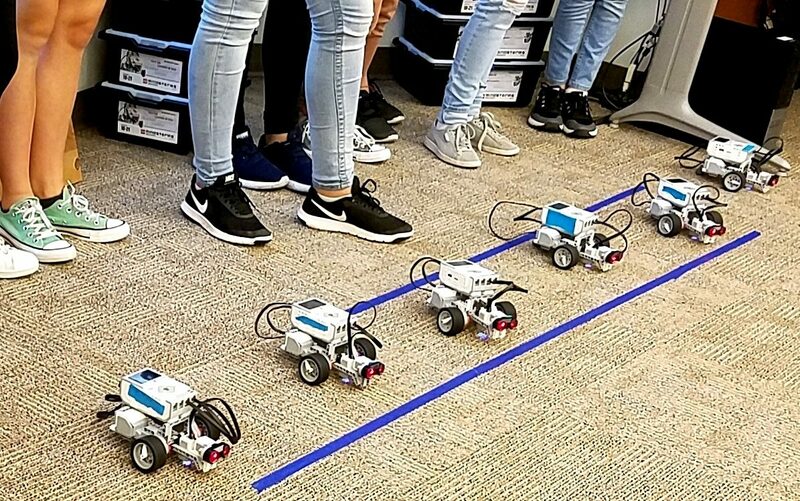 The girls broke up into 5 different groups called “core” groups and most mornings they went to classes in their core groups which were Stardust Astronomy, Robotics Engineering, Bodies by Design, App Inventor, and Cyber Security. The Student Counselors went with the girls to their core classes while the Dorm Monitors reviewed the schedule for the day with our leaders. We usually had an hour or two free before it was time to meet the girls for lunch. In the afternoon the Dorm Monitors accompanied the girls to classes and the Student Counselors some free time. There were two afternoon classes ranging from mini-versions of the other core classes to extracting their own DNA (really) and genetic studies on “ReBops” which are creatures made of marshmallows, pipe cleaners and other interesting stuff. One group had the opportunity to dissect pig hearts. They were looking for heart strings which open and close the heart valves and, what do you know, they found them! All the groups were different so I always had to know how many were in my group and keep counting to make sure everyone was there. Wednesday was a different sort of day. We did some finance activities provided by Financial Beginnings Washington exploring budgets for clothing, housing, student debt and other expenses – it was a fun and informative. Then we went on field trips. Half went to look at marine life and the group I went with got to go to the Museum of Flight. The girls got to file flight plans, run a checklist on an airplane, do experiments on various aspects of flight and then fly (and sometimes crash) in a flight simulator. That evening we had pizza and then saw a movie together. It was “Hidden Figures” and the all-girl audience was just great and applauded and cheered in all the right places. Thursday night was career night where 17 women scientists came and spoke to the girls and they were able to ask questions. This was a real eye-opener and a great experience for everyone. The last night we went out to see the stars and got to look at the moon through a telescope. Although I was exhausted when I got home and slept for three hours before I even unpacked my car, I think I’ll go for it again next year. I feel this is such a worthwhile program and makes such a positive difference for the girls who participate in camp. Our branch sent eight girls this year and we hope to send ten next year. We will need more help working with middle schools and interviewing girls and parents if we are going to accomplish this goal. Please offer to help if you can. Most of the work happens between January and March. This week has been such a fantastic and eye-opening experience, and I wouldn’t have been able to be at Tech Trek without your kind donations. This week I learned about what it is to be a woman in STEM. I participated in Astronomy, Biology, Coding and Technology classes. I never knew that there were so many fields of STEM, and that all of them are so interesting! This week I also made so many supportive friends who helped me to say strong even when I didn’t get my first-choice of class, and I loved it anyways! Tech Trek is so amazing and it allows girls/women to be confident in STEM and that it’s ok to make mistakes because these are the things that help you progress!